Again scratch paper cut up and used as the base. Over this I added texture paste through a Finnabair stencil. When dry it was time to add more colour. 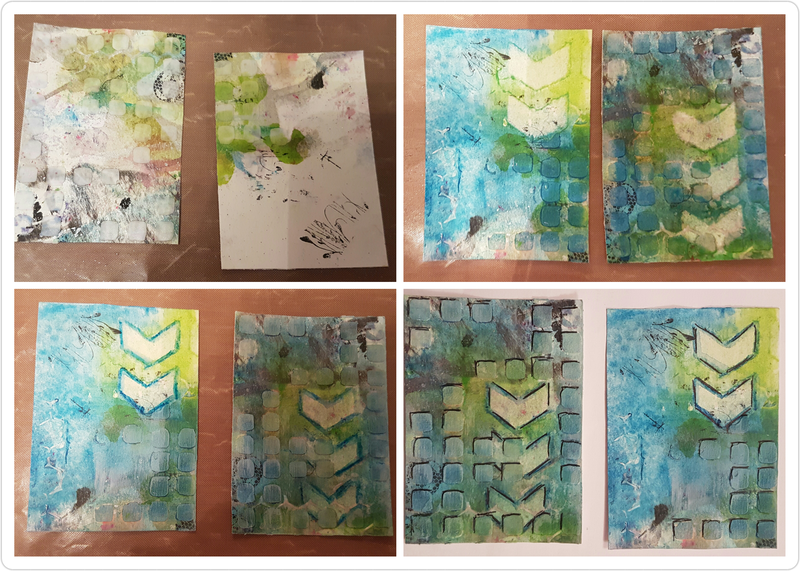 I used Distress crayons in blue and green to cover the whole card, then used another stencil to remove some colour using a baby wipe. 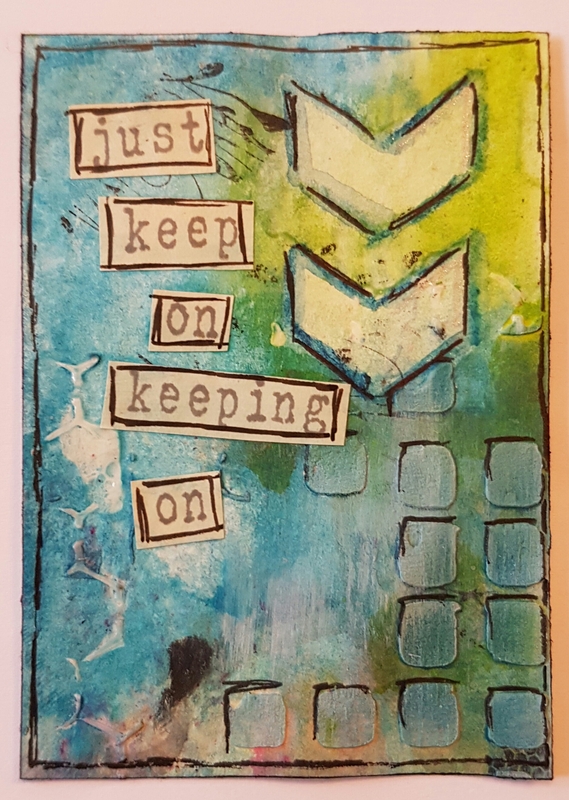 I then used both Inktense and pens to add doodling around the shapes and a little bit of white paint on a sponge to add some different tones. 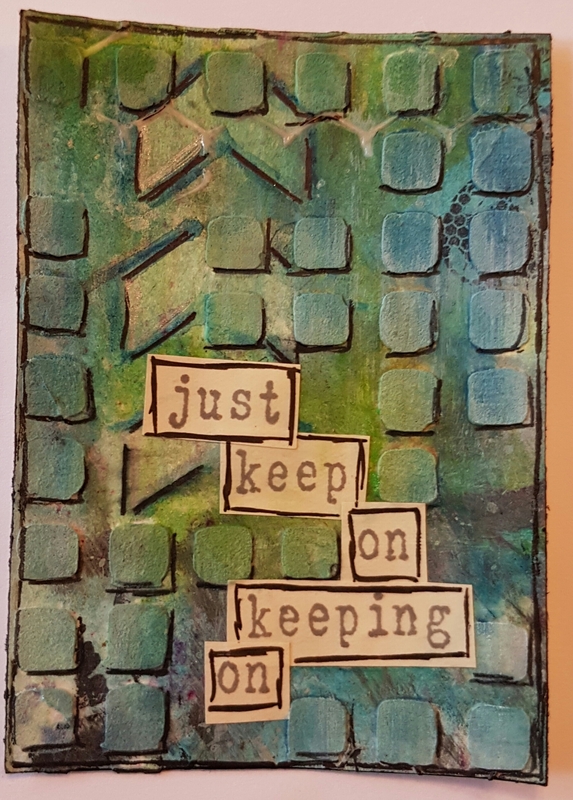 I decided against adding an image to these and instead stamped a Stampotique sentiment onto paper to cut out and added to the cards. The same sentiment for each but both done differently. Really love the colours in these… and the fact that the layers underneath are still visible in places to give the cards some depth. So that’s 99 made… wonder if I can get another 1 in before the end of the month?